It was a deflating weekend for Bonnyrigg Rose who crashed out of the Scottish Cup before losing their manager 24 hours later. Boss David White resigned after their 2-1 defeat to Deveronvale citing personal reasons behind his decision to quit his post. 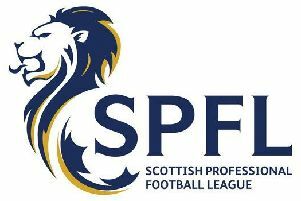 The search begins for a new manager this week after the shock departure of White who won the East Superleague and the Fife and Lothians Cup double last season. In the interim period, the coaching team of Jonny Stewart, Ian Little, Sean McAuley and Michael Burgess will be looking after first-team affairs ahead of their trip to Eyemouth this Saturday. The statement said: “David is as honest as the day is long for those that know him/have listened to his post match interviews. He is finding the balance of work/home life/football management too difficult. Former Rose defender White took over at the club from current Berwick Rangers boss Robbie Horn last September. There was pressure on White to emulate Horn’s title success in his first season in charge and he didn’t disappoint guiding Bonnyrigg to a league and cup double. The statement added: “David’s record since taking over the managerial reins stands alongside any manager we’ve had in recent times, with the league and cup double achieved last season the first time the club had achieved such a feat in 34 seasons. “It goes without saying that we wish David and his young family all the very best for the future and hope to see them at a Rose game again soon. The Rose’s interest in the Scottish Cup was ended by Highland League outfit Deveronvale. Trailing 2-0 courtesy of goals from Grant Noble and Sam Robertson, the Rose gained a foothold in the game thanks to Kyle Wilson’s effort . However, despite dominating for large spells, the Rose were unable to find an elusive equaliser as Deveronvale held on for victory to set up a second round tie with Stirling University.